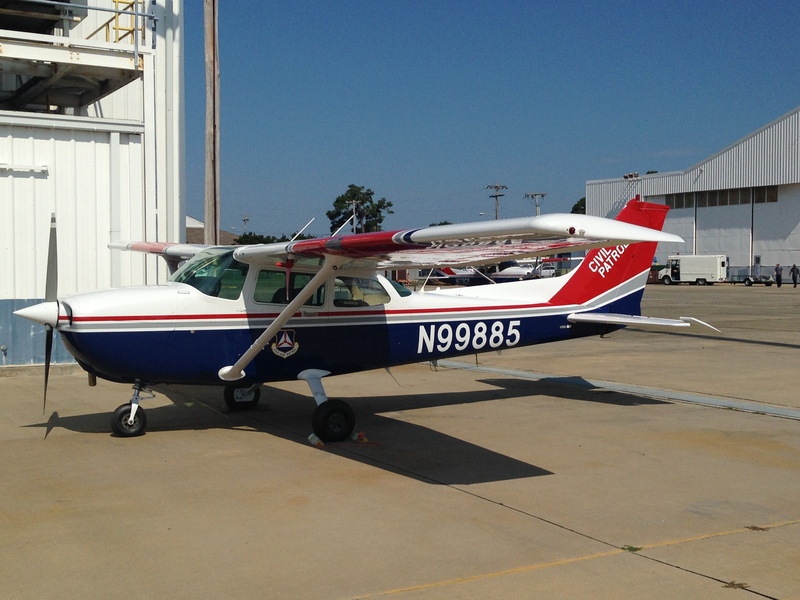 6/17/2014–Burlington, NC– After nearly six months of hard negotiations, the NC Wing Director of Operations, Major Chris Bailey, was able to secure funding for a facelift for one of the wing's older aircraft. Bailey worked tirelessly with many aircraft painting facilities to secure a quote that would fit into the budget for the wing. Bailey, representing the wing, finally settled on AvCraft, a state of the art facility located in Myrtle Beach, South Carolina. Because of the hard work and relationship created between the leaders of AvCraft and Major Bailey, AvCraft was able to complete the update in four weeks, remarkable because this process generally takes eight to ten weeks to complete according to Bailey. Bailey stated, "AvCraft did a marvelous job for the wing. They (AvCraft) usually work on larger planes, but were able to meticulously update this paint scheme and look better than the planes coming directly from Cessna." Bailey further added "this (updating the aircraft) is only one of the projects completed by the NC Wing that makes us the finest wing in the country." The NC Wing, under the control of NC Wing Commander Col. David Crawford, operates 10 aircraft. These are either Cessna 172 or 182s. The Director of Operations, Major Chris Bailey is tasked with ensuring that each of these planes is properly maintained and properly used. The aircraft are strategically placed throughout the state at the discression of the wing commander, and can be moved at any time to meet the needs of either the wing commander, or the nation. Aircraft are frequently moved between states to allow for training and response to any crisis.